Oracle State Park was recognized as an international dark sky park. 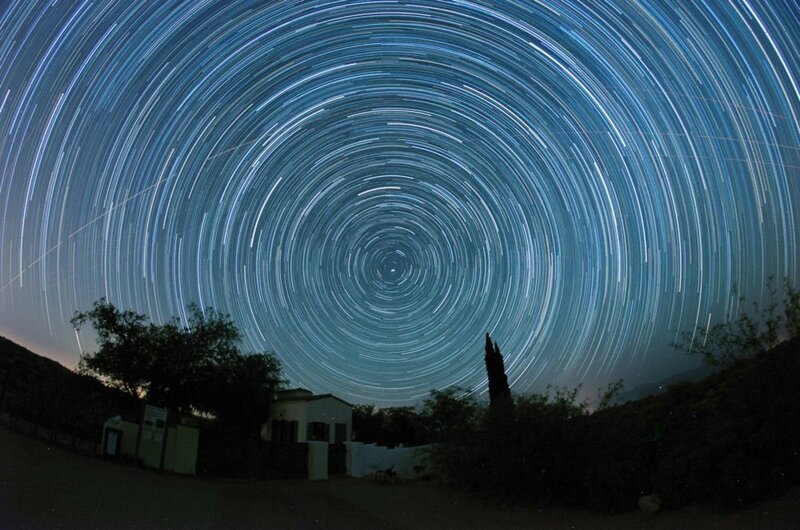 The 4,000-acre park about 40 miles north of Tucson is the first state park in Arizona to receive the designation from the International Dark-Sky Association, a Tucson-based organization that promotes night sky conservation. Oracle State Park’s designation was at the silver level, which means the park’s nighttime environment has “minor impacts from light pollution and other artificial light disturbance, yet still display good quality night skies and have exemplary nighttime lightscapes,” according to the IDA guidelines. The park, which is also a center for environmental education and a wildlife refuge, had very few existing lights installed to have to fix or change, Haas said. It’s a day-use park and does not accommodate camping. It also benefits from its relative location, he said. The Santa Catalina Mountains shield Oracle from the glow of Tucson. Pursuing the international recognition had more to do with changing lighting policies, he said. If development, such as campsites, comes to the park, it would have to comply with the new dark-sky regulations. A committee was formed in April for the park to prepare it for the designation, said Michael Weasner, chairman of the Oracle Dark Skies Committee and an amateur astronomer. It consisted of Arizona State Parks staff, Oracle community members, business owners, park rangers and the Friends of the Oracle State Park group. Weasner, who is a member of the IDA, said he knew already how dark the skies were in the state park and thought the distinction would benefit the park and the local community in terms of preserving the environment, attracting astronomers and boosting the local economy. “It’s a win-win-win-win-win all the way around,” he said. Statewide, astronomy is “big business,” not just for the large professional research observatories, but also amateur astronomers, said Scott Kardel, executive director of IDA. But it’s not just about astronomy. Light pollution comes with hazardous consequences, he said. The biggest thing of interest in the natural areas of the state parks is to decrease the impact from lighting to the natural environment. “By having properly shielded fixtures and fixtures with perhaps lower brightness level or special colors, you can greatly limit that attraction and have a much lower impact on ecosystems,” he said. Kardel said there would be other state parks coming forward to achieve the dark-sky distinction to follow in the footsteps of Oracle State Park. In other places around the state, Sedona and Flagstaff have received the recognition of international dark sky communities. Parashant-Grand Canyon National Monument is designated as a dark sky province. Worldwide, 37 places, including 20 parks, have been given the dark-sky recognition. Contact reporter Yoohyun Jung at 520-573-4224 or yjung@tucson.com. On Twitter: @yoohyun_jung. Oracle State Park has been granted International Dark Skies status. Take a look at the park over several years.